All "Project BioEYES" programs involve our zebrafish experiment, where adult fish are brought to the school to produce embryos that are raised throughout the week. 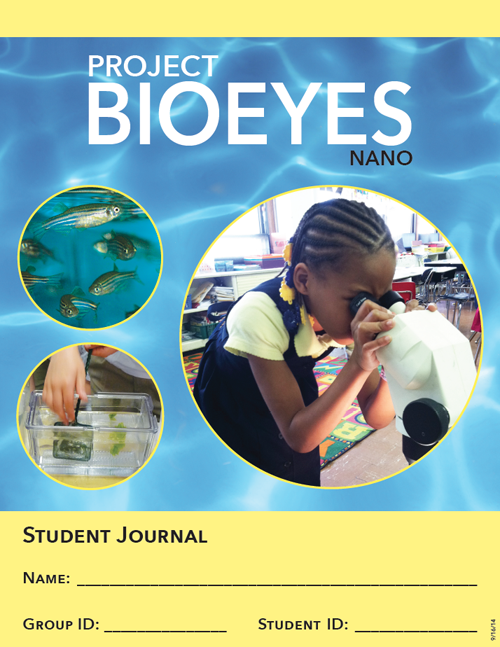 Our Nano program, designed for second grade students, focuses on simple observations with lots of drawing, life cycles, and similarities and differences between humans and fish. All activities below are in PDF form, suitable for printing or projection, and are included in the BioEYES Teacher Manual.